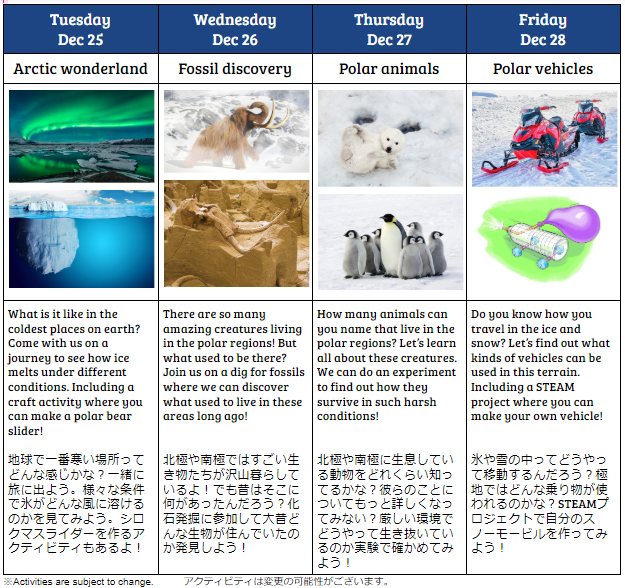 It gets so cold in the winter… but it is much, much colder in the polar regions! Let’s go together to explore these wondrous tundras with our friends! Study about this frozen wonderland and the animals that call these icy regions their home. How do they survive these harsh conditions? Let’s find out! Uncover fossils of ancient creatures and plants trapped in time. What were they like? Find out more about the fascinating work being done by teams of international research scientists in the polar regions. There is so much to learn and discover! Join us on our journey to the coldest places on earth at Winter Camp 2018! STEM projects and activities! Crafts and games! Winter fun in the frozen wonderland! 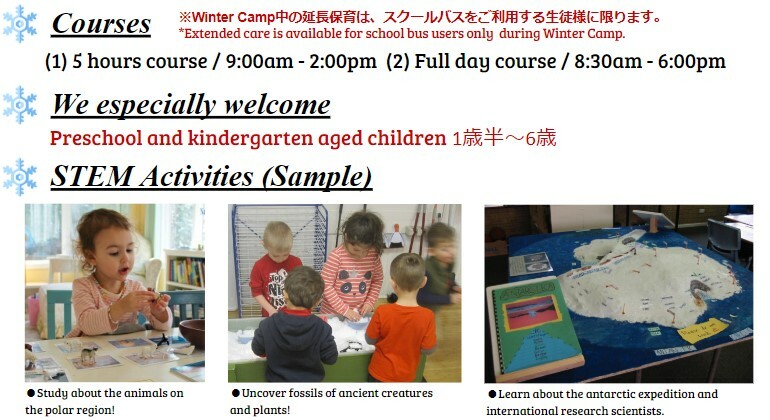 *Extended care is available for school bus users only during Winter Camp. <For food-allergic students > Please bring your own lunch and snack. We can’t accept the student who need the Epinephrine auto-injector. The school bus takes the regular school routes and we don’t have any drop-off bus service after the full-day course. The deadline to apply for bus service is Monday, December 10th. Please contact us to get more detailed information. <For non-member> For safety reasons, School bus service is not possible for Preschool students. Bank fees for fund transfers are at your expense. We can confirm your child’s enrollment after payment has been received. -For Laurus students: The bank transfer for the fee will be made on Thursday, December 27th. -For non-members: Please complete payment by Monday, December 17th. *Please insert “School initial name + WC” before your name when you make the bank transfer. *It isn‘t possible to make changes after the closing date. · Please sign up by Monday, December 17. · If you are an overseas resident, please ensure your children are covered by overseas travel insurance. 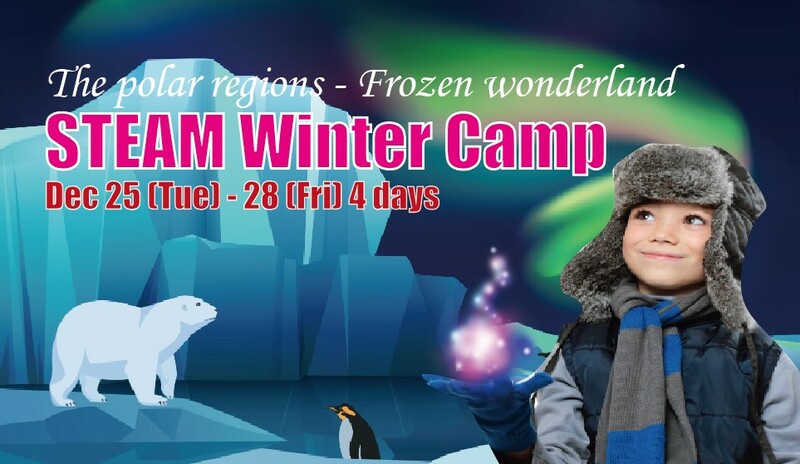 If your child / children do not have overseas travel insurance and your child / children are sick or injured during our STEAM Winter Camp, you will be responsible for your child / children’s medical expenses.